Liquid Intellect is a consultancy company founded in 2018 by two like-minded bartenders who shared a passion for high quality mixed drinks. The pair cut their teeth in the Midlands and moved to the London to broaden their experience back in 2017. Since then, the pair have worked in some of the most highly accoladed bars on the planet and have crafted some of the most delicious RTD cocktails on the market. Liquid Intellect has provided consultancy for brands and bar alike and with a family of over +30 clients, our reputation proceeds us. Providing an exceptional service is what separates us from other consultancy companies, like our online database with batch calculators and GP margin calculators or our branded bottles and batch delivery service. Eleanor Holcroft is an exceptional talent who has worked in a number of influential venues in London including Peg + Patriot, Satans Whiskers & Nightjar. 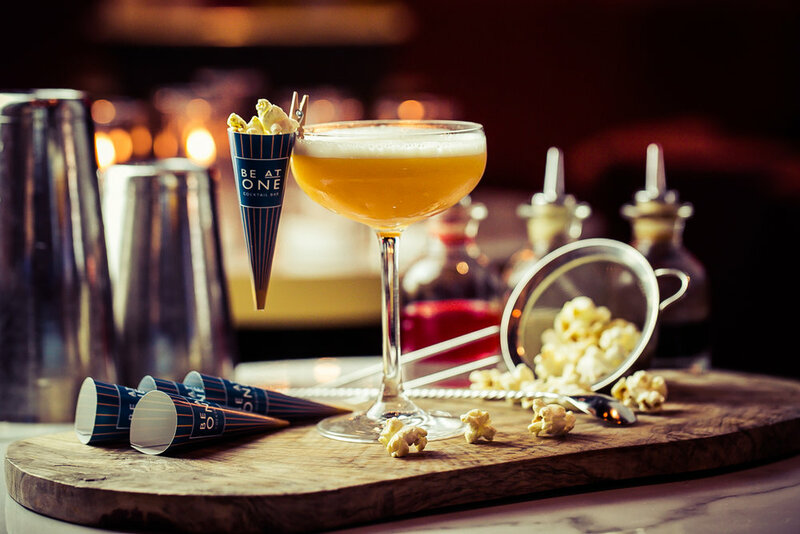 Eleanor has pioneered some of Liquid Intellect’s most boundary pushing drinks including the Chicken Dumpling Martini for Bar Hercules Soho. She used her knowledge of fortified wines and sherry to take SACK, a Shoreditch sherry bar to be nominated for UK’s best speciality venue. She then went on to win the London heat of the Uguara Cachaca cocktail competition. Charles Roche is an award winning bartender who has helped craft two of London’s hottest venues- Bar Hercules in Soho and Scout LDN. With a keen eye for detail and an exceptional palate for balance, Charles has created some ground breaking recipes including the Reliance cocktail, a World Class semi final cocktail which involved smoking manure into Hay, which was then fermented alongside apples into a homemade cider. Jam Doughnut Negroni, part of the Liquid Intellect bottle range. Based in Soho, London, we are central to the London bar scene with quick and easy travel routes via train or plane to any of our national or international clients.